Zagros Engineering is a team of experienced Engineers, Programmers, and Technicians. Our goal is to use the latest technologies to help our clients achieve their strategic goals and objectives. Safety is our number one priority. 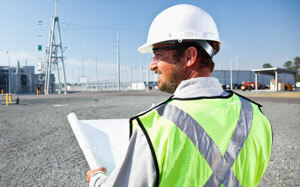 We respect and follow all OSHA, MSHA and site safety rules and regulations at all times. We know that Safety is the responsibility of every Zagros Engineering employee, everyday. Safe operating procedures are followed on each project. We know that nothing we do is worth risking the health and safety of ourselves or others. The safety and health of everyone is our highest priority. Zagros leadership accepts responsibility for providing a safe working environment, our team members are expected to take responsibility for performing work in accordance with safe standards and practices. We know safety and health will only be achieved through teamwork. We must join together in promoting safety and health and taking every reasonable measure to assure safe working conditions.